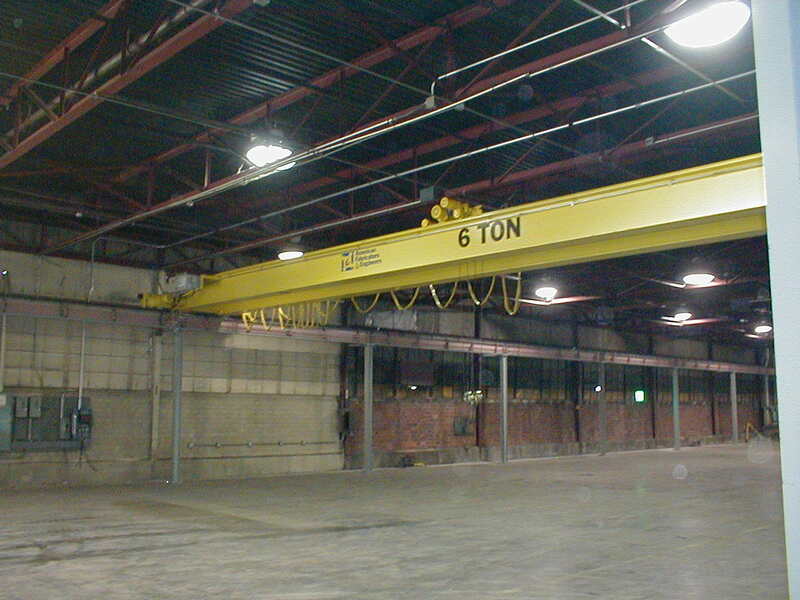 Top running runway systems are used for top running single girder and top running double girder cranes. 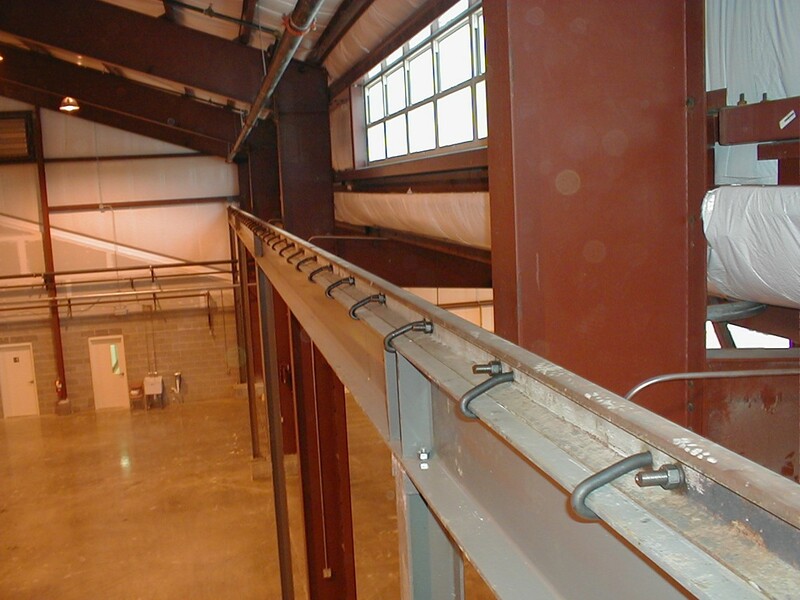 The runway is typically ASCE Rail or square bar that is affixed to the top of a w-beam or s-beam structural member. 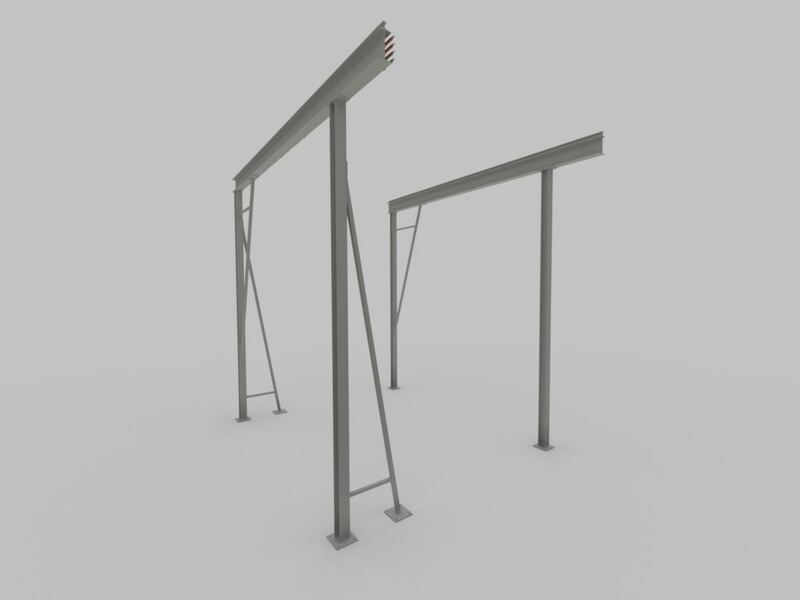 Either a building column haunch or a freestanding column structure is used to support the runway beam. 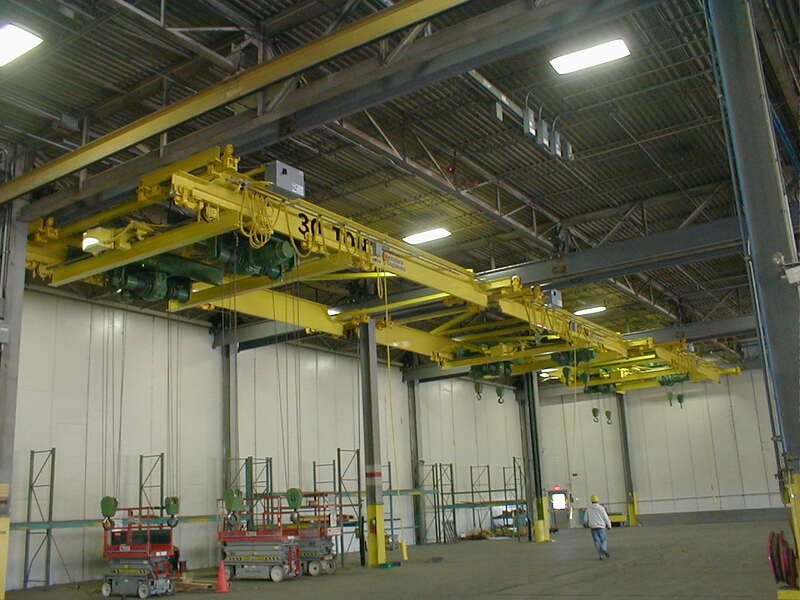 Under hung runway systems are used for under hung single girder and under hung double girder cranes. 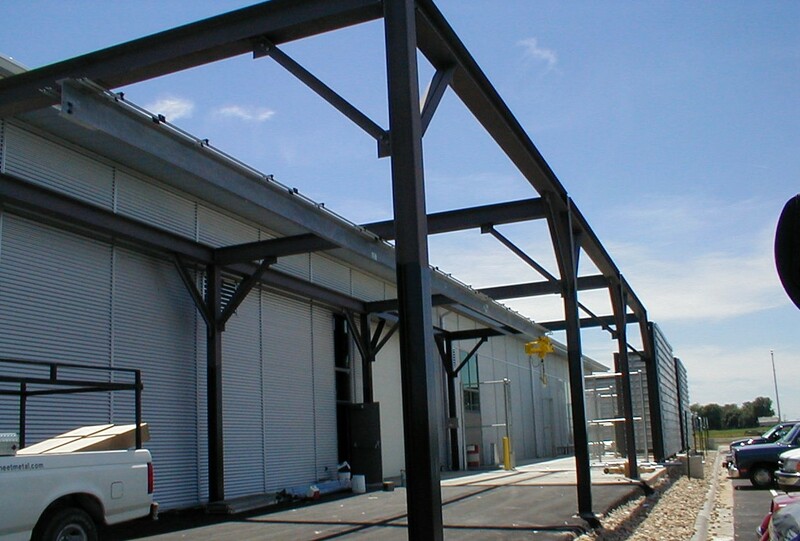 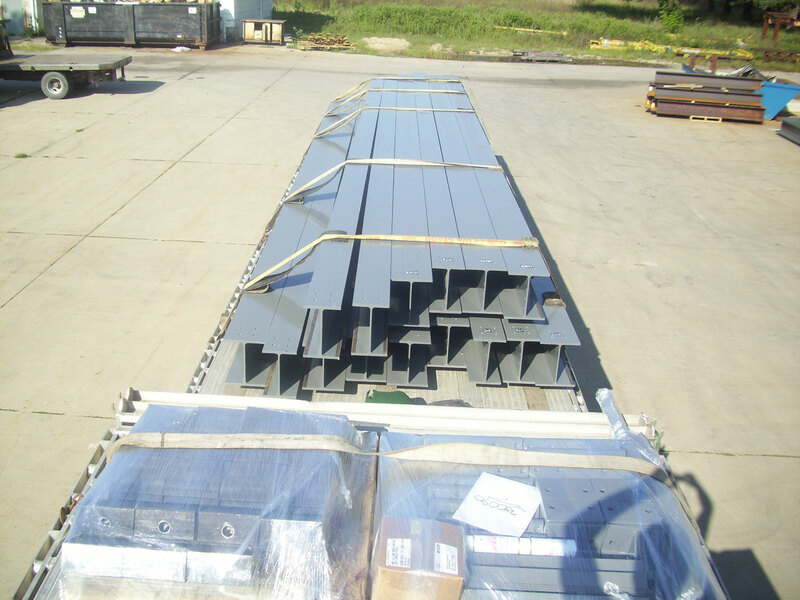 Runway beams in under hung systems are typically w-beams, s-beams, or patented track. 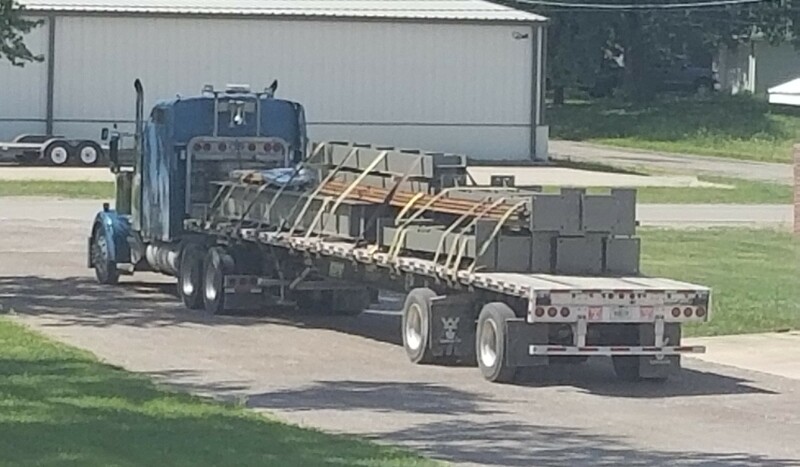 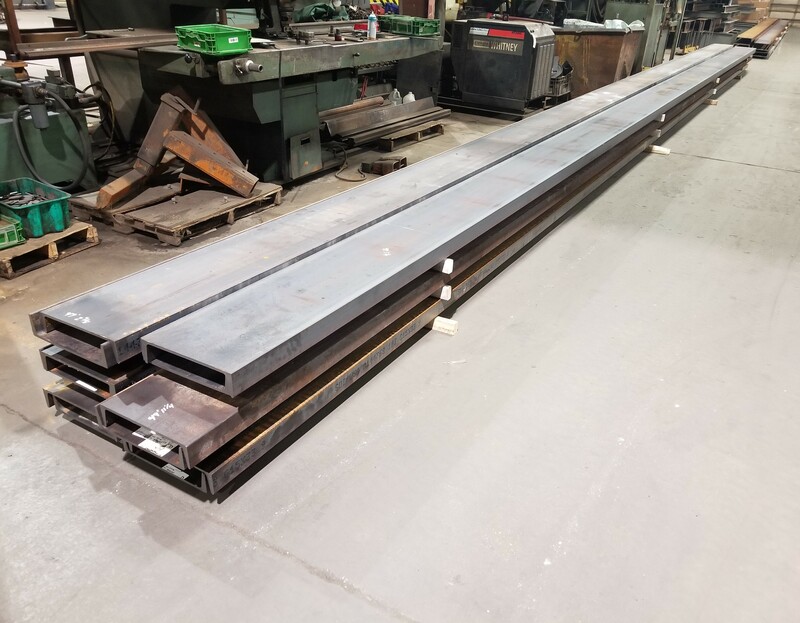 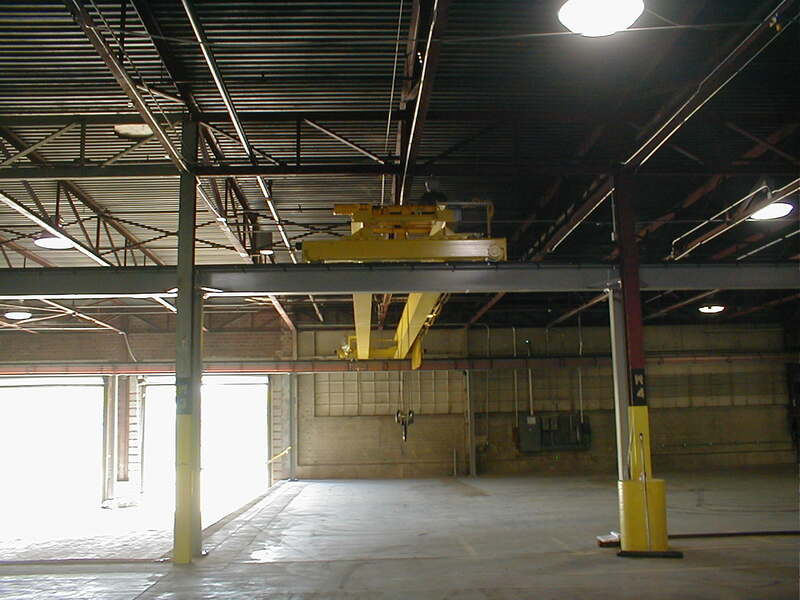 Under hung runway beams are supported from the top and can be directly attached to overhead steel or hung lower by the use of hangers. 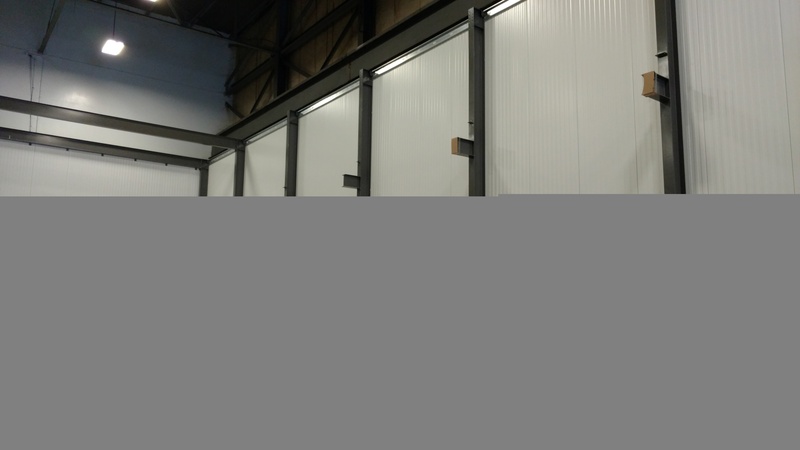 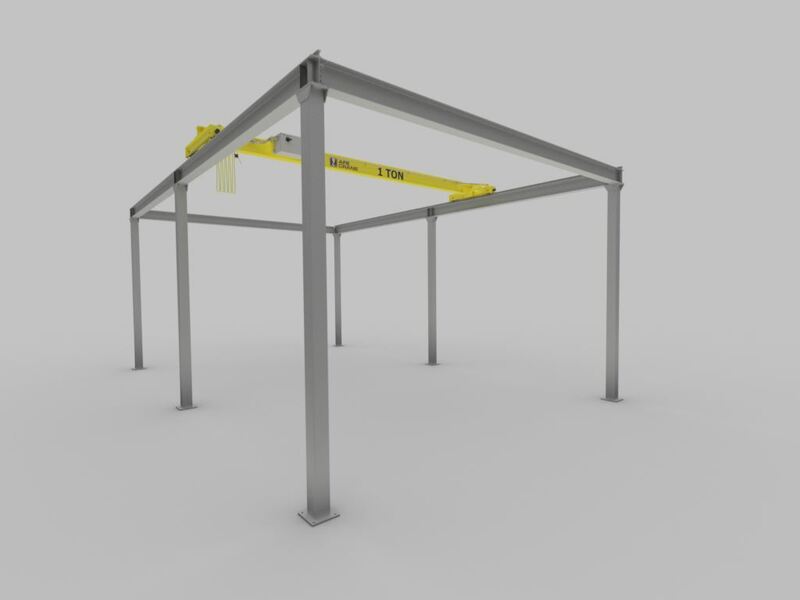 A freestanding structure is floor supported and can be designed to fit virtually anywhere. 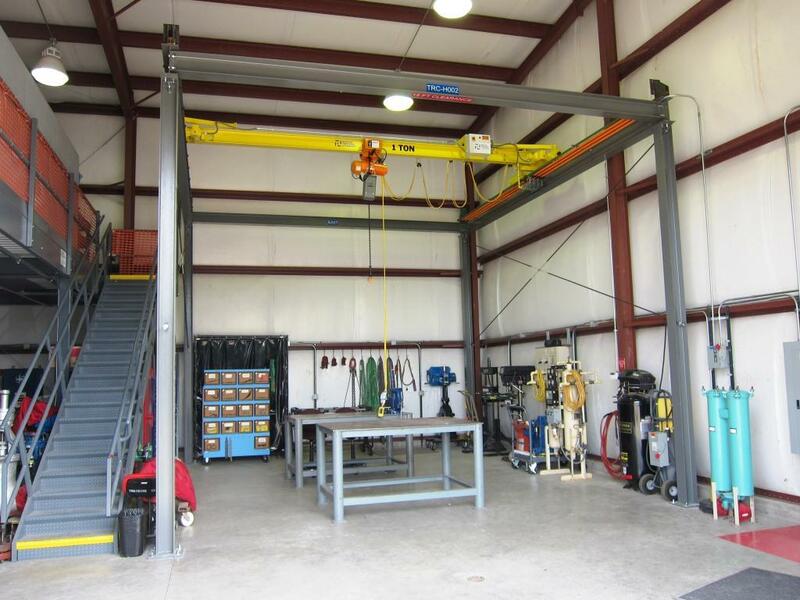 These systems can be designed to top running and under hung runways along with monorail and enclosed track systems. 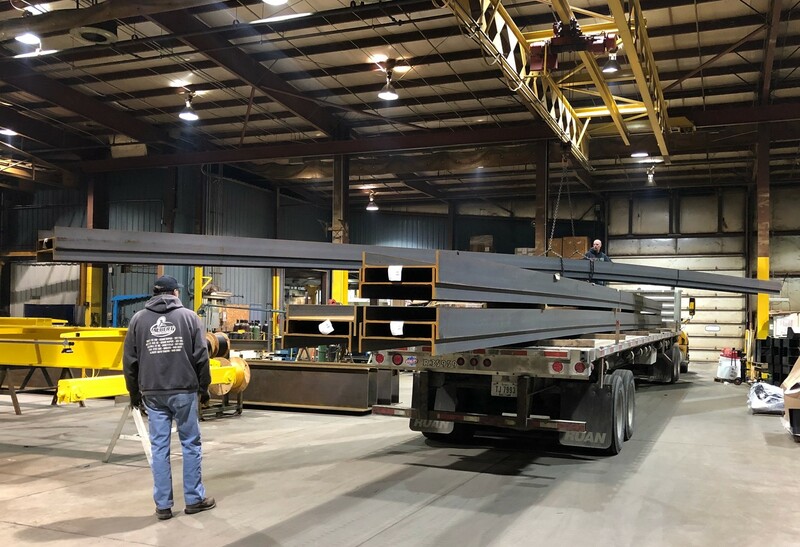 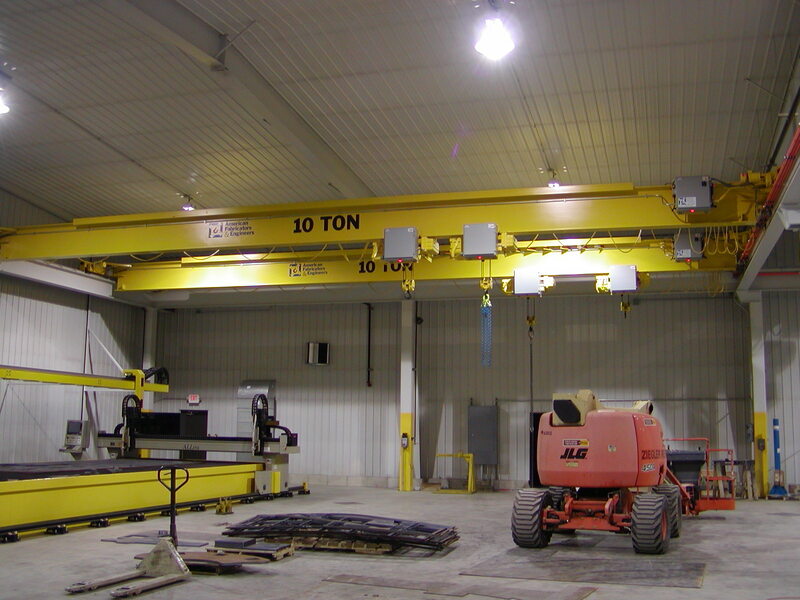 Freestanding structural steel systems are often used if the building structure cannot support the additional load of the crane. 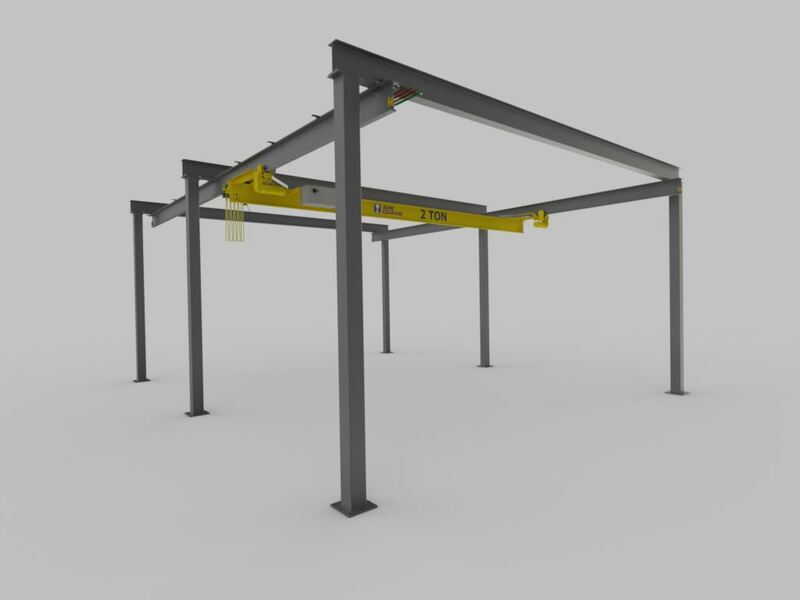 These freestanding systems are designed without the use of any bracing. 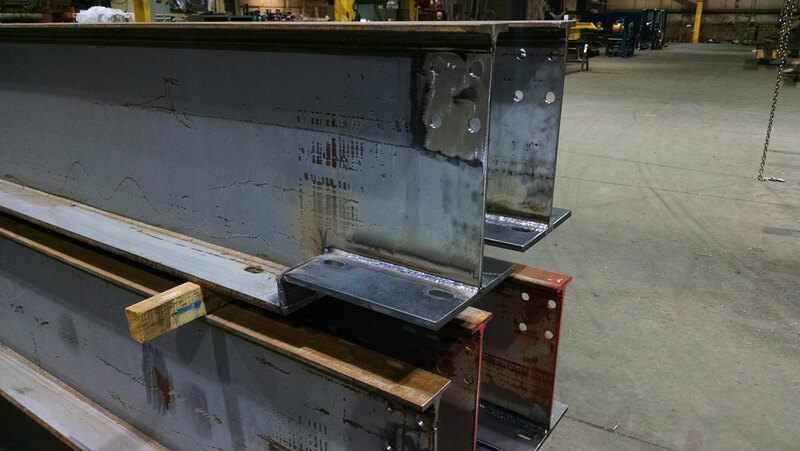 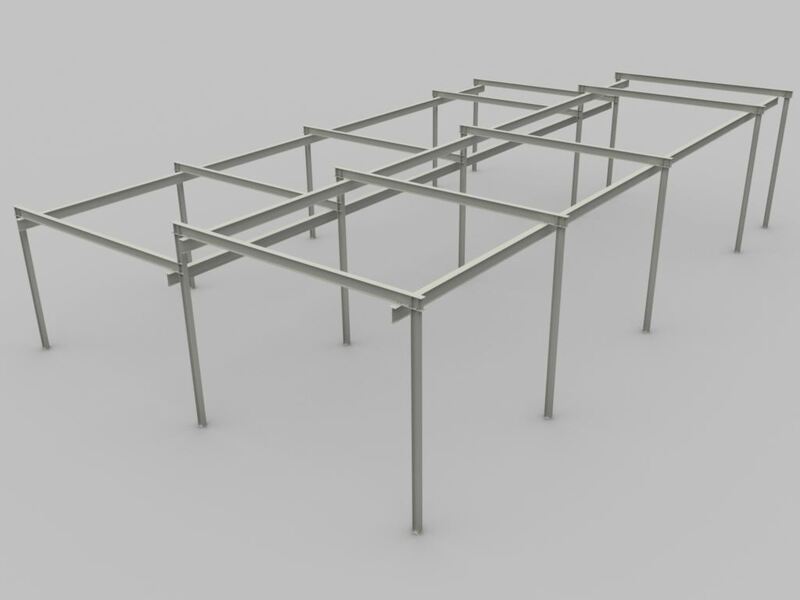 Freestanding systems can also be designed with column bracing which is braced back to the floor (knee braced structure) or with bracing that tie back to the building structure (semi-freestanding structure). 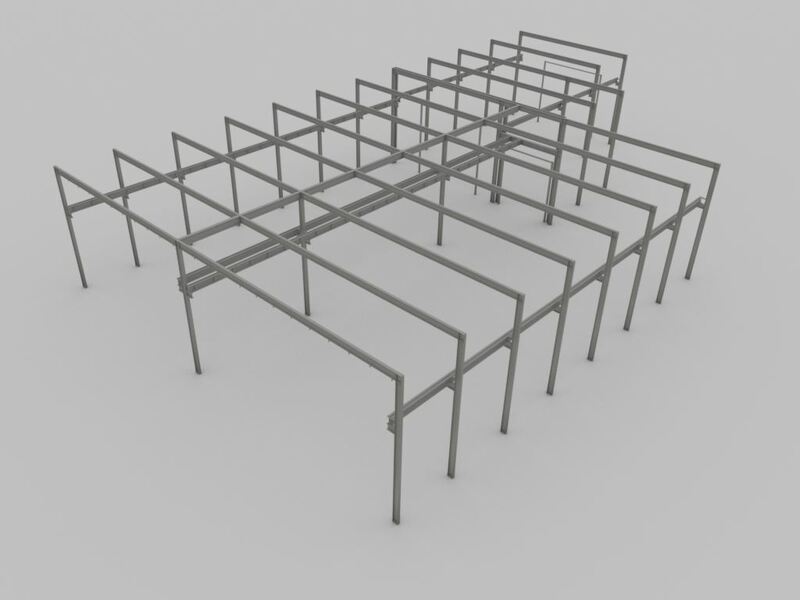 Both the knee braced runway and semi-freestanding runway reduce the amount of steel being used making it a more cost effective system. 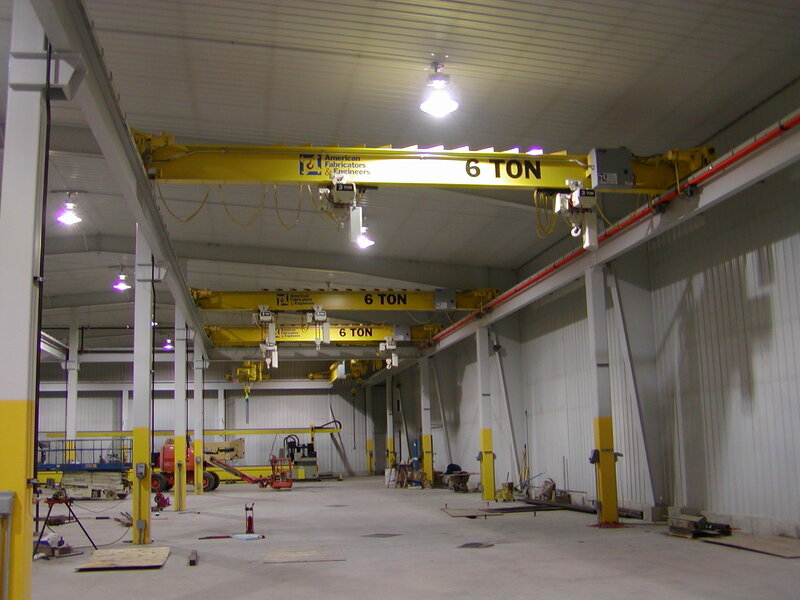 In most freestanding structures, concrete footings may need to be installed to take the weight of the system. 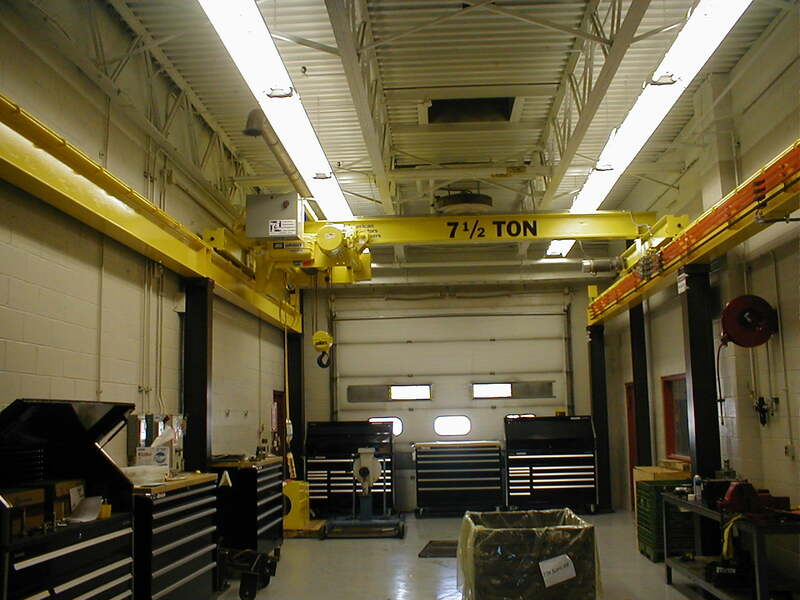 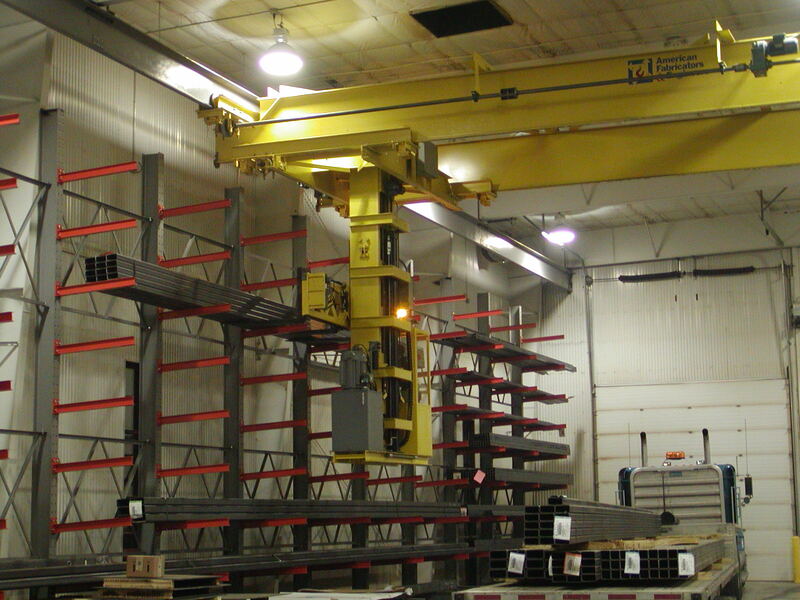 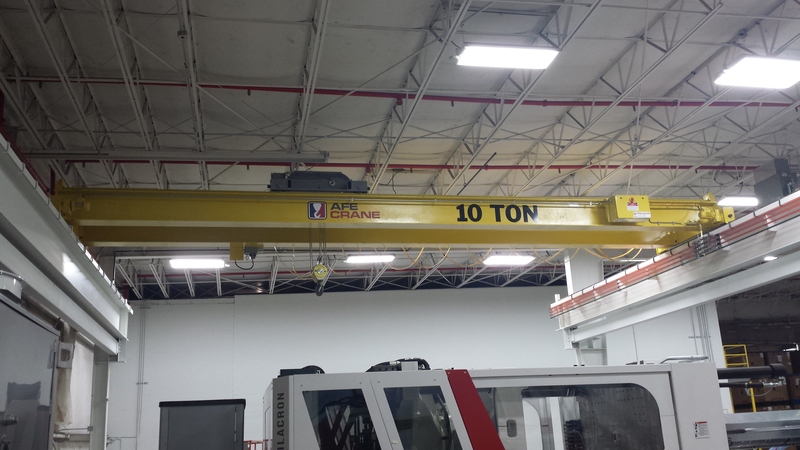 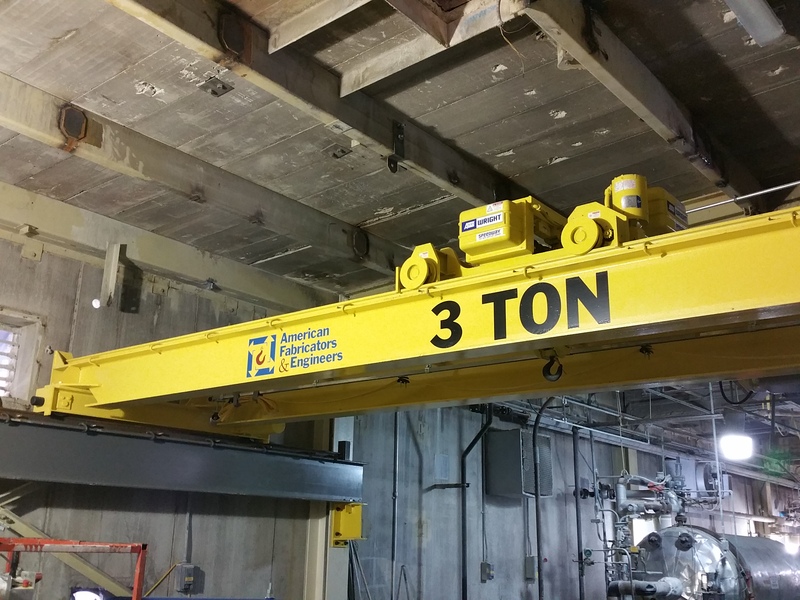 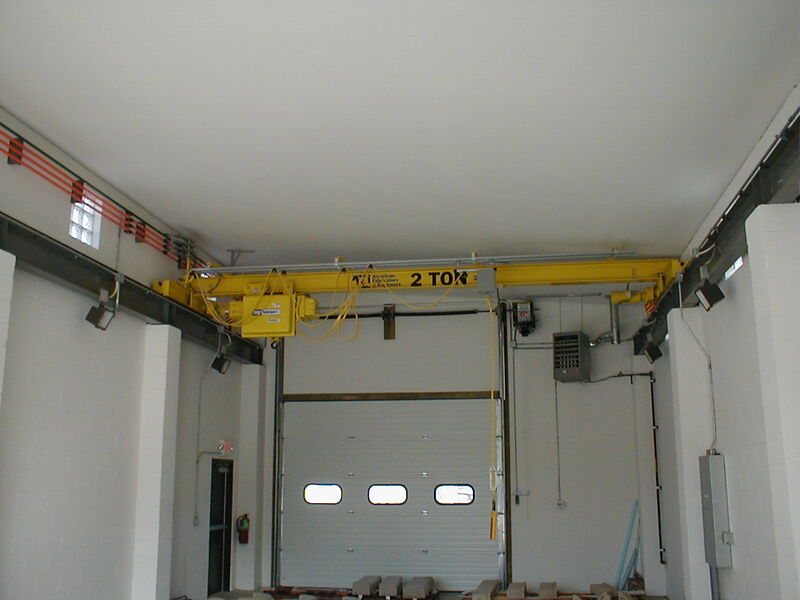 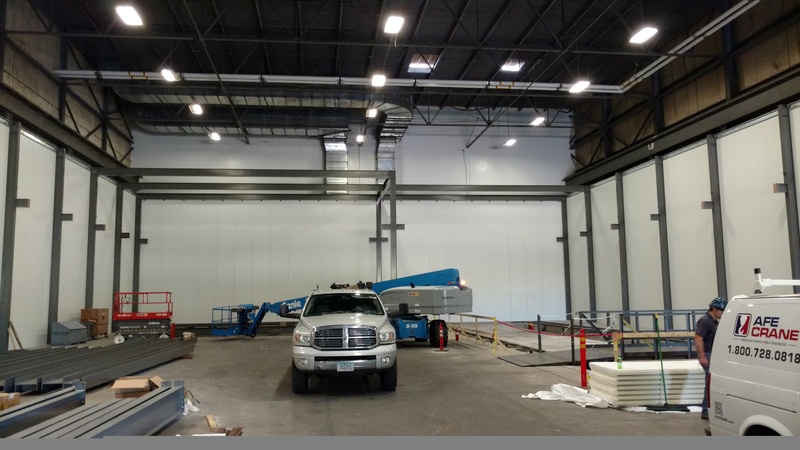 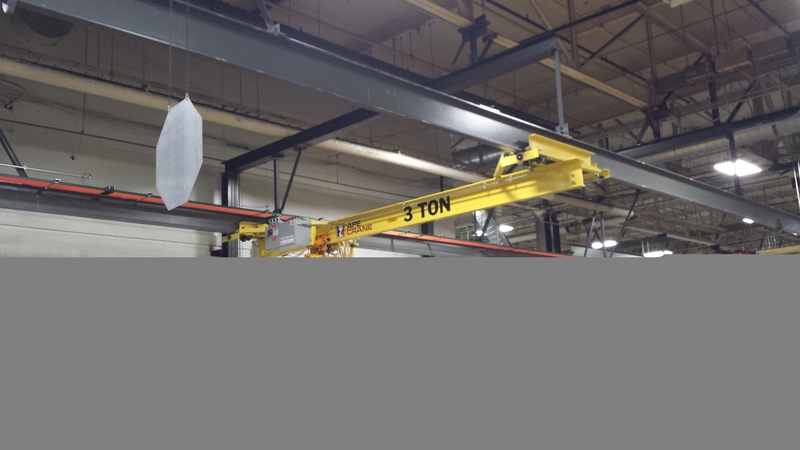 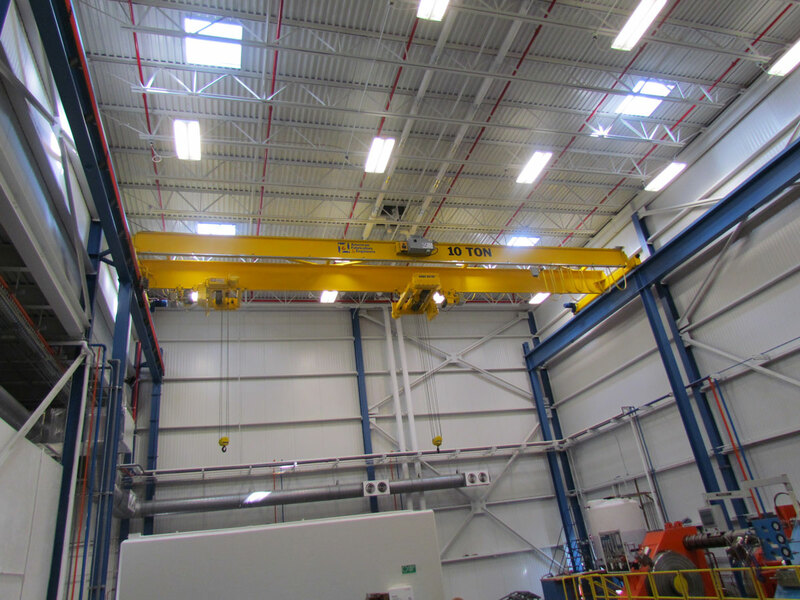 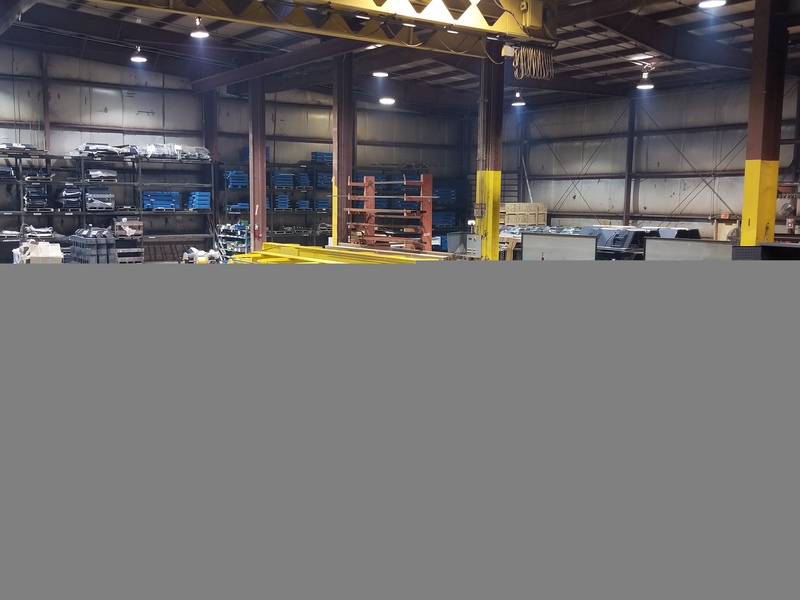 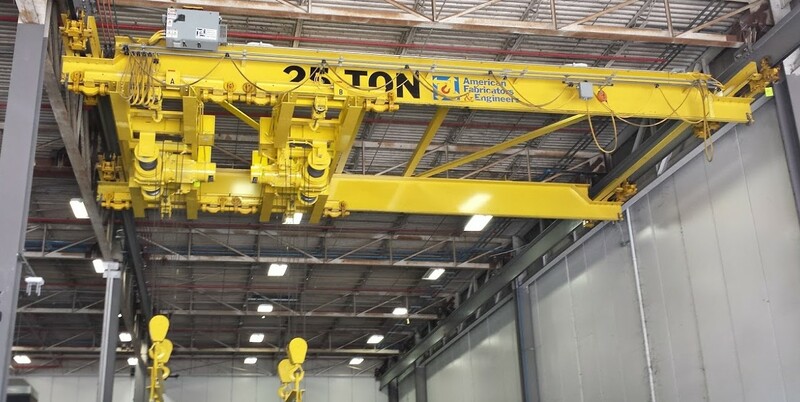 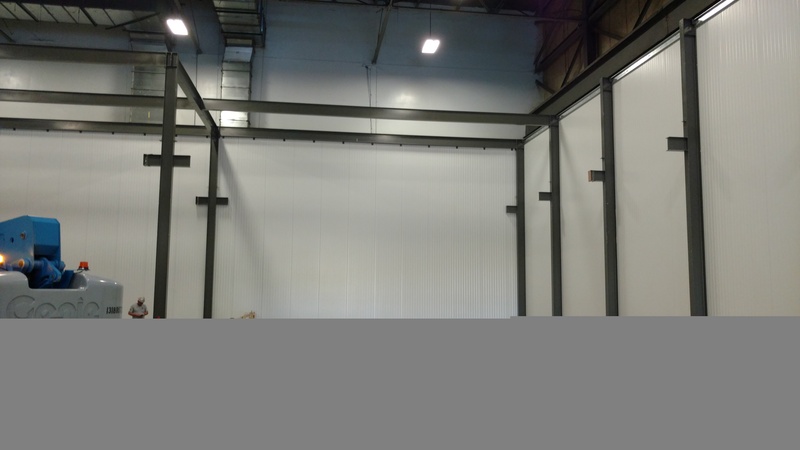 In building structures that have been designed to withstand the extra forces from overhead cranes, ceiling mounted structures/runways can be used. 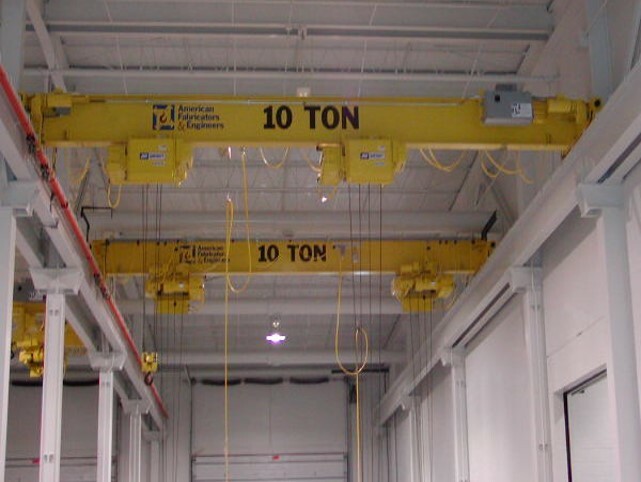 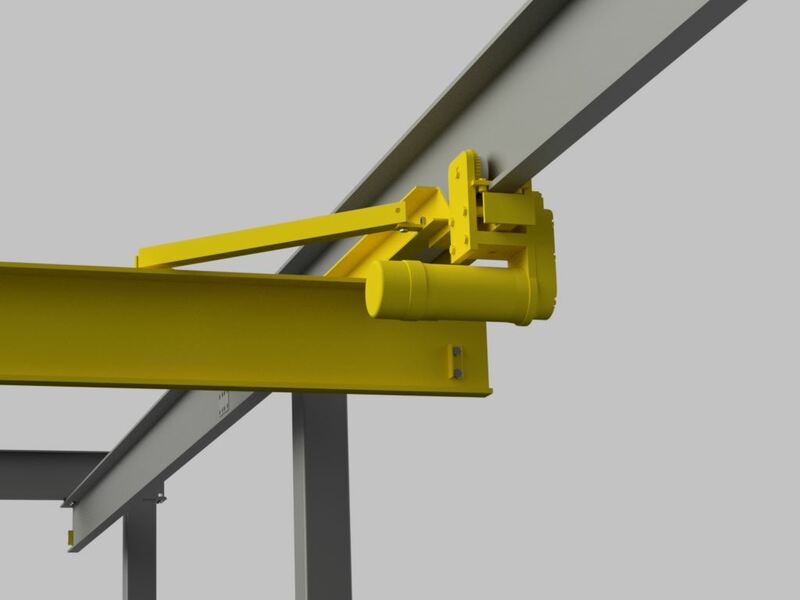 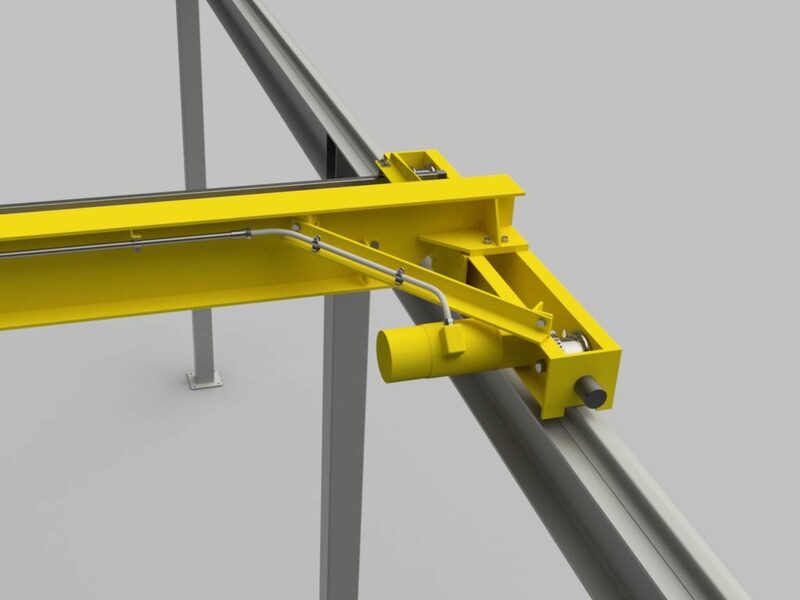 These systems are generally suitable for under hung crane systems with capacities of 5 tons or less. 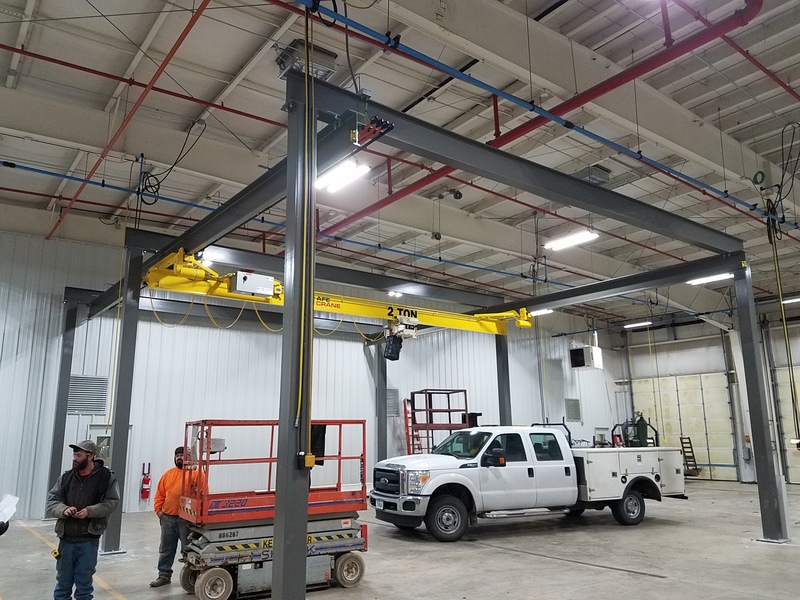 Ceiling mounted structures are great for keeping shop floor space clear of columns and the ability to have a larger hook coverage area than a freestanding system. 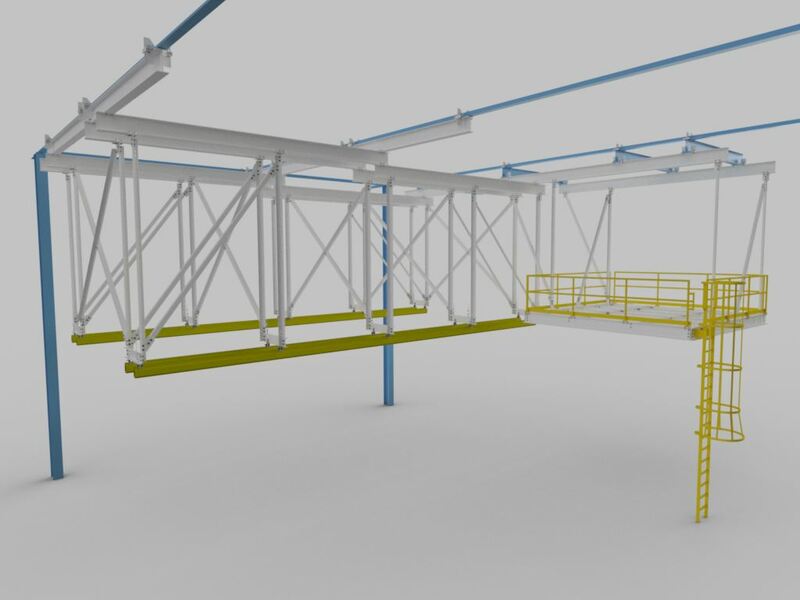 Platforms, catwalks, structure braces, railings, safety guards, etc.